Henkel Loctite Corporation (Henkel) is a leader in consumer brands and technologies. Its three systems businesses are Henkel Industrial Adhesives and Sealants, Loctite Engineering Adhesives and Henkel Surface Technologies. With customers in every continent, Henkel relies heavily on its knowledgeable sales and customer service associates. The company manufactures more than 2,000 products for which it answers more than 100,000 technical inquiries, in a year. Needless to say, accurate product information has become a foundation of its sales and marketing strategy. In an effort to provide all its sales and customer service associates with readily available product information, the company manages 62 password protected internet sites where it offers technical data sheets (TDSs) and other product related information. These sites are meant to facilitate sales and customer service and often allow for end user access. Because many of Henkel’s products are specialty (proprietary), TDSs served as a critical component to sales. Henkel created TDS using a word processing program which created several inefficiencies. Document were static and needed to be updated periodically. As a result, at any given time, there could have been numerous versions of the same TDS in circulation. To ensure data integrity, Henkel placed many levels of security before a TDS was approved and published to the 62 internet sites. This, in itself created a bottleneck of TDS waiting to be approved for customer evaluation. Henkel knew that customer satisfaction was dependent on a robust, standardized TDS solution. Henkel researched many options and found that an off-the-shelf would not meet all their requirements. They then turned to UL The Wercs. 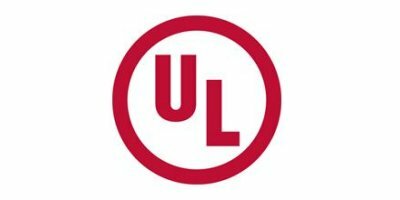 UL The Wercs was already categorized as a critical vendor, as it provided Safety Data Sheet SDS authoring, managing and distributing software. Henkel felt that much of the critical data needed to create an SDS was similar to creating a TDS and that UL The Wercs content and functionality expertise made them the TDS solution. UL The Wercs provided Henkel with an online TDS authoring, managing and distributing solution in less than a year.The system integrates with Henkel’s product formulation database which ensures real time accuracy of product data. This system now serves as one of the foundation to their over-all total quality management process. No comments were found for Henkel Loctite accelerates sales cycle with an online technical data sheet solution - Case Study. Be the first to comment!